West Ham fans have had to endure a tough start to the season, seeing their side clash with the majority of the Premier League’s top sides and not having too much to show for it. The Hammers’ defeat at the hands of Manchester City at the weekend means that Manuel Pellegrini’s side have suffered defeat in seven of their opening 13 Premier League matches this season, raising the stakes for the months ahead. While relegation should not be a real threat, as there is a number of sides in the division who look to be much poorer than West Ham, improvements need to be shown and Pellegrini could dip into the market in January. The Chilean boss splashed in excess of £100m during the summer to rejuvenate the squad but there are still areas crying out for attention, with the most concerning position in the team being the lack of recognised strikers. 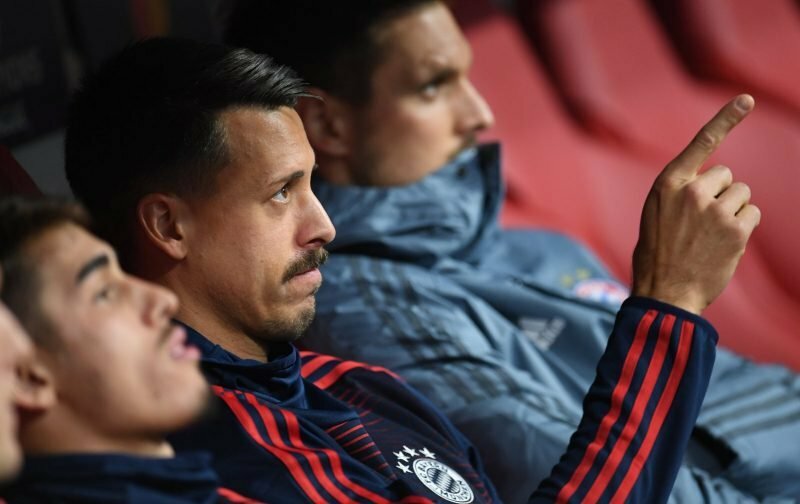 With Javier Hernandez struggling and Andy Carroll only just returning from his latest injury, the Hammers are in the market for a new forward and reports have suggested they are keen on Bayern Munich striker Sandro Wagner. Fans reacted to the claims on social media and many are keen for the 30-year-old to be drafted in. We have gathered some of the best reactions below. I would snap him up, 6ft 4 very tall good finisher, averages 7-10 goals a season, actually scored 14/15 in the last two seasons, for 6m if we can get him for that it's a snip. We've spend a lot more on worse players in the past. I’d have him within a heartbeat! Would be a solid signing ??? ?